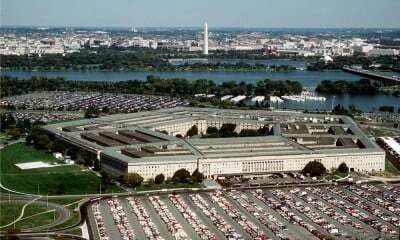 The Pentagon’s new National Military Strategy (its first update since 2011) signaled possible major wars with US adversaries. Washington named four nations threatening no others as major US security threats: Russia, China, Iran and North Korea – plus non-state groups like ISIS (without mentioning they’re US creations). The document turns truth on its head blaming Russia for violating “numerous agreements” and “military actions.” It says Iran and North Korea seek nuclear weapons. Pyongyang may have them – for self-defense, not offense. No evidence whatever suggests Tehran seeks them – now or earlier. Plenty of evidence reveals otherwise. At the same time, so-called “hybrid conflicts” with non-state actors like ISIS, Al Qaeda, the Taliban and other US-created groups are likely to expand. GHW Bush called it a “new world order” – endless US wars of aggression for unchallenged global dominance. The Pentagon’s 2006 Quadrennial Defense Review (QDR) called it the “long war” without end. “We are more likely to face prolonged campaigns than conflicts that are resolved quickly.” America’s military must remain “globally engaged – in other words, wage permanent wars of aggression against invented enemies driven by lunatics in Washington wanting all independent governments replaced by US controlled puppet ones. America intends “to project power across all domains…act in concert with others…or unilaterally (as) the situation demands,” the document states. US military strategy includes “press(ing) forward with the rebalance to the Asia-Pacific, placing our most advanced capabilities and greater capacity in that vital theater.” It remains committed to NATO allies and Israel’s security. Ashton Carter replacing Chuck Hagel as defense secretary in mid-February signaled more war besides ones America was waging before his appointment. Obama’s naked aggression on Yemen followed weeks later. So did greater numbers of US combat troops operating in Iraq, continued bombing of its economic infrastructure on the pretext of attacking ISIS, and the same strategy ongoing in Syria – plus the Pentagon’s latest military strategy signaling endless US-initiated conflicts. In May, General Dempsey announced his retirement effective October 1. Marine Corp commandant General Joseph Dunford, Jr. will replace him. His nickname “Fighting Joe” signals continued endless direct and proxy aggression – always against invented enemies. US strategy of permanent wars against one country after another threatening no one for objectives impossible to achieve – combined with outlandish fear-mongering, unaffordable longterm military spending, and homeland police state control indicate a nation in decline like all previous empires. Policies pursued are unsustainable for the long haul. What can’t go on forever, won’t. It’s just a matter of time before America’s hubris and imperial arrogance become its undoing. What’s unknown is whether it’ll go with a bang or whimper. The former risks humanity going with it – the curse of potential nuclear armageddon.